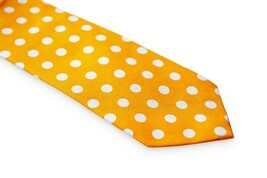 This tie is 6.5cm wide (2.5 inches) at the blade (widest point) and 147cm (58 inches) long. 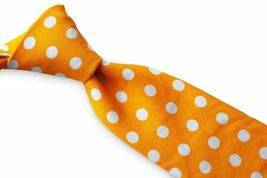 These ties are dry clean only. 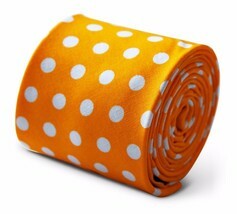 Please see our other items as we have hundreds more designs of ties cufflinks braces tie clips and more in stock. Visit our store at https://stores.ebay.com/frederickthomasties. 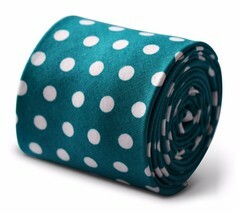 These ties have an RRP of ?19.99 at the retailer Frederick Thomas. Items will be posted the next working day. First class postage to the UK is free and postage to the rest of the world is ?3.95 - no matter how many items you buy! If you have any problems please contact us and we will be able to assist you. Please note we are unable to track international packages unless you opt and pay for tracking. We allow up to four weeks for international deliveries to arrive before we consider the package lost. Frederick Thomas is an online retailer established in 2009 specialising in high quality and exceptionally priced men's ties cufflinks tie clips and other men's accessories. Our ties feature our stunning signature floral design to the rear or the tie which gives them a unique edge. We have a huge range of ties suitable for all formal occasions weddings office wear etc and also can create custom ranges of ties for schools football teams rugby teams etc. We have recently introduced a wedding range which is proving to be extremely popular and we are looking to expand this range further. If you have any questions feedback or simply would like to suggest a colour scheme for future ranges then please contact us. All items will be posted the next working day. 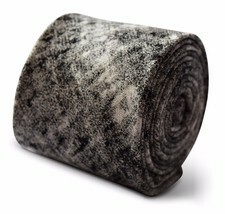 We accept returns within 30 days and Buyer pays return postage. Get all the latest News Updates and Special Offers about our store. Copyright ? 2017 FREDERICK THOMAS LONDON. All rights reserved. 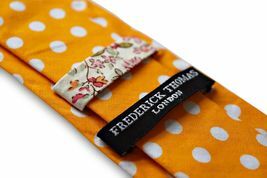 Frederick Thomas is an online retailer, established in 2009, specialising in high quality and exceptionally priced men's ties, cufflinks, tie clips and other men's accessories. 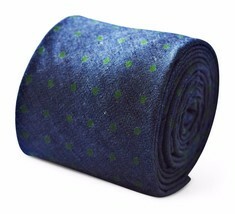 We have a huge range of ties suitable for all formal occasions, weddings, office wear etc and also can create custom ranges of ties for schools, football teams, rugby teams etc. If you have any questions, feedback or simply would like to suggest a colour scheme for future ranges then please contact us. 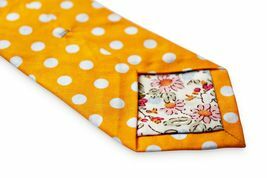 First class postage to the UK is free and postage to the rest of the world is £3.95 - no matter how many items you buy! Get all the latest News, Updates and Special Offers about our store. Copyright &copy 2017 FREDERICK THOMAS LONDON. All rights reserved.